Conifer Bailey Forums 285 Bound • View topic - Park Co Sheriff: Our Victim Advocates need some volunteers. 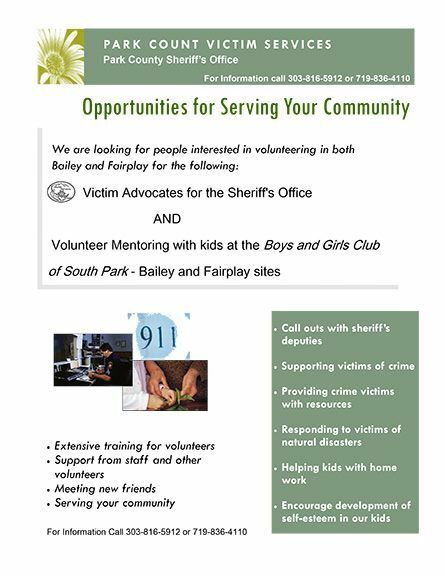 Post subject: Park Co Sheriff: Our Victim Advocates need some volunteers. Our Victim Advocates need some volunteers. Give them a call for more information on this great opportunity.